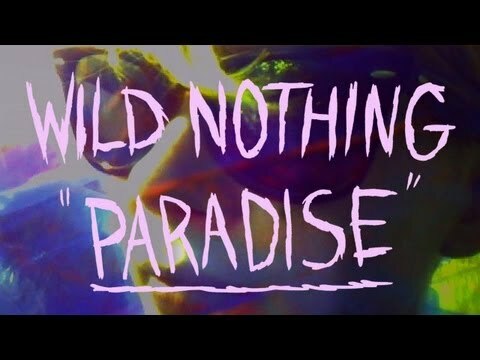 Wild Nothing’s new music video for ‘Paradise’ has just been released, starring indie darling actress Michelle Williams. Taken from the band’s latest album Nocturne, the video shows short scenes of Williams’ character on a long flight to her own ‘paradise’ as she recites a special video-exclusive monologue against the haze of the band’s dream pop synths and vocals. The pixie-cut actress fits perfectly into the nostalgic, 80s-inspired video as she looks out from the plane and at the waterfalls at her destination, smiling as she realizes that “everything had been changed, and made beautiful and good“.